The United Methodist Women of First Street Peck Wesley United Methodist Church in New Orleans held a Gospel Brunch on Feb. 9 at the church. The fundraiser was "AWESOME," according to Rev. Connie Breaux. 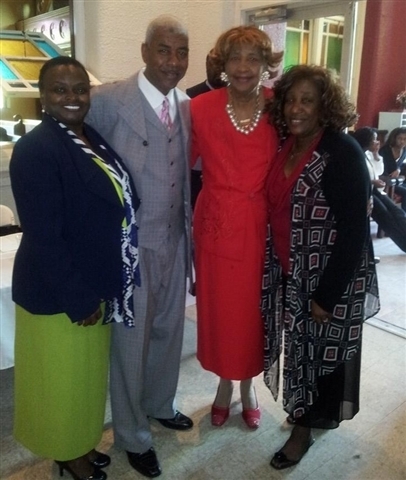 Pictured at the event are, left to right, Rev. Martha Orphe, pastor of First Street PW UMC, Michael Ward, violinist, Annabella Watson and Rev. Connie Breaux, minister of music.